Share a plate with your loved one. 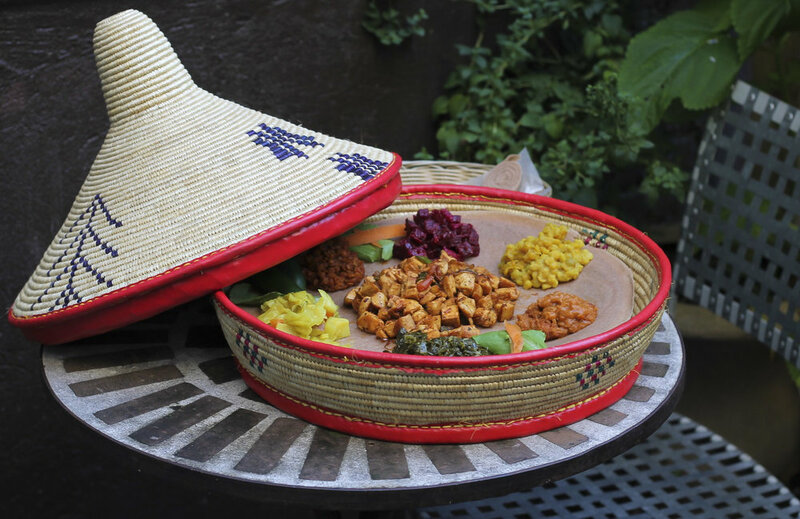 Ethiopian food is served traditionally on a big platter called "Mesob" and is eaten with fingers. Ethiopian food is always made from scratch with fresh ingredients and lot of spices. It is eaten with Injera which is a soft spongy bread, also an Ethiopian staple food made from an ancient grain called Teff. Teff has been grown in Ethiopia for thousands of years. Recently it has been possible to grow teff in Idaho. On average an Ethiopian eats injera three times a day and it is the most widely missed food for Ethiopian expatriates. Teff is gluten free and is sold in most organic and natural ingredient stores. Unfortunately, most injera made in the U.S. has flour and is not gluten free. 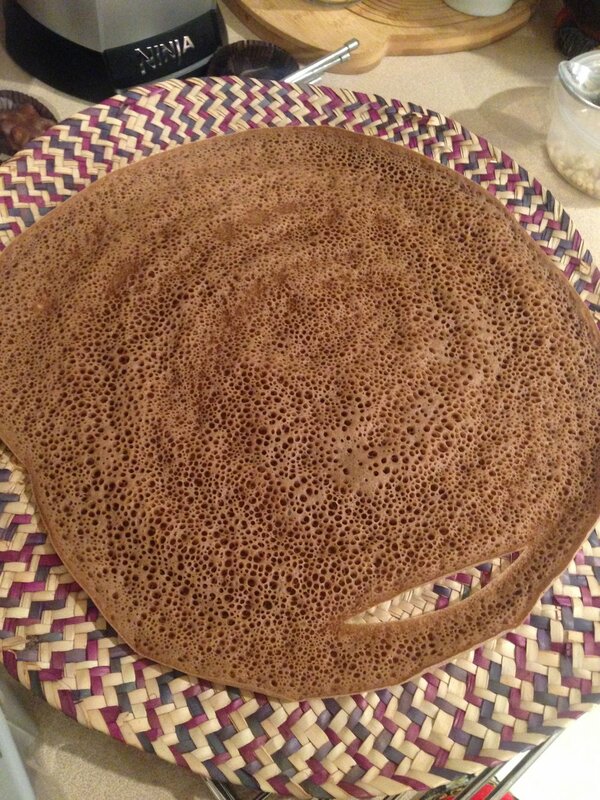 Please contact us if you need 100% teff gluten free injera. 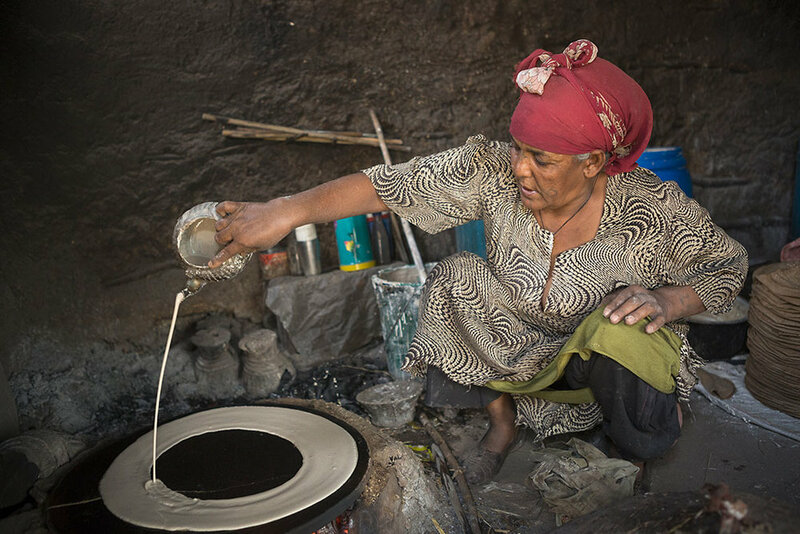 Watch this video to see how injera is made. Another widely used ingredient in Ethiopian food is Berbere. Berbere is a spice blend made of many spices and herbs including dried chili peppers (main ingredient), black seeds, black pepper, cardamom, garlic, basil, ajwain seeds, etc. 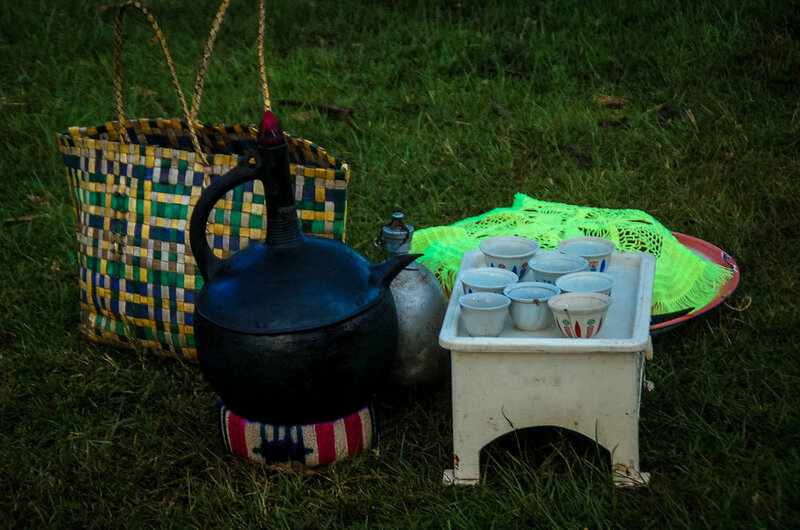 There are many versions of Berbere making recipes online but it is important to note that even every household in Ethiopia has its own way of making Berbere and no recipe is the true or ultimate one; it depends on personal taste and ease of making. Read more about Berbere here. We pride ourselves for using what Valpo has to offer! We use fresh produce and fresh-never-frozen meats (except for fish) for our dishes. We are always looking for markets offering fresh ingredients and if you happen to know one please leave as comment or drop us a line. Here are some of the local markets in Valpo and surrounding cities we purchase out ingredients from. We're usually open two times in a month on Saturdays 12-3pm. Please check our Facebook page for pop-up event dates.